Fat is not killing you. For years, fat was the villain of the diet-heart story. You ate excess fat, typically saturated fat, and it raised your 'bad' cholesterol levels or LDL, and gave you heart disease. Dietary guidelines from the World Health Organization (WHO) have for more than a decade told us to keep the total fat levels to 30 per cent of the total calorie intake. Within that, the standard advice is to keep the levels of saturated fat to less than 10 per cent, given the understanding about its link to heart disease. That understanding is incorrect, as it turns out now. Saturated fat has been exonerated by several studies, complete with evidence suggesting that the association between saturated fat and heart disease is untrue. Some experts would even say that WHO was wrong, at least when it came to the subject of fat and its role in coronary heart disease (CHD). 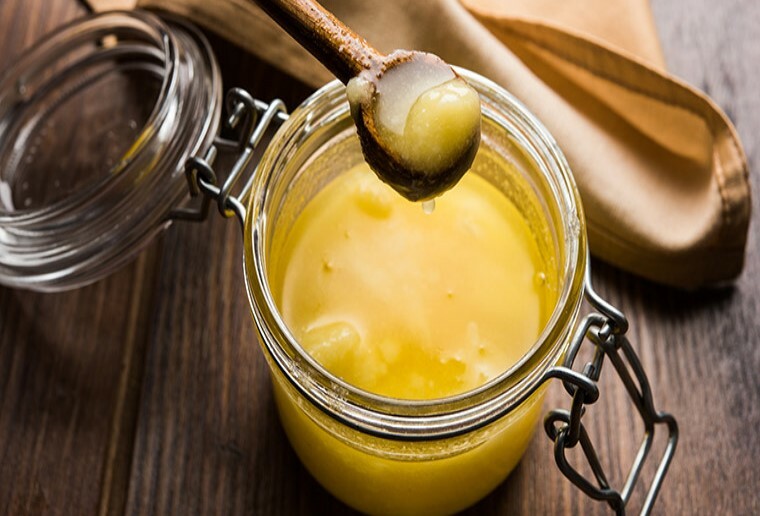 If fat was giving us heart trouble, then despite the efforts to reduce it all along—didn't we give up whole fat milk, butter and ghee?—why was the epidemic of heart disease and diabetes rising the world over, including India? That story, experts say, is complex and needs careful assessment. The latest in the sequence of evidence exonerating fat came after the results of the Prospective Urban Rural Epidemiology (PURE) study were published in the influential journal, Lancet. The PURE study, its authors claim, was a game-changer of sorts because nothing like this had ever been attempted before—a diet study with such a large sample across so many countries, including low- and middle-income countries. For the PURE study, the sample was diverse: researchers followed a large number (1,35,335) of young and old people (35-70 years) from 18 countries in five continents for ten years. Their dietary intake, incidence of total mortality (deaths) and major cardiovascular events (fatal cardiovascular disease, non-fatal myocardial infarction, stroke, and heart failure) were recorded. The association between consumption of carbohydrate, total fat and each type of fat with cardiovascular disease and total mortality were then studied. Fat, as it turned out, was not the villain here. Instead, it was found that a high carbohydrate intake was associated with a higher risk of total mortality, whereas total fat and individual types of fat were related to lower total mortality or lesser number of deaths. Moreover, they found no association between total fat and types of fat, with heart disease, myocardial infarction (heart attacks) and deaths due to cardiovascular disease (CVD). Saturated fat, they found, actually had an inverse association with stroke. Based on the evidence, the PURE study called for a revision of global dietary guidelines. However, in May, when WHO released its proposed revised dietary guidelines, it reiterated the same logic that had been circulating for the last 15 years —keep saturated fat to less than 10 per cent of total calorie intake, or less than 30 grams in a day. “Dietary saturated fatty acids and trans-fatty acids are of particular concern as high levels of intake are correlated with increased risk of CVDs. Saturated fatty acids are found in food from animal sources such as butter, milk, meat, salmon, and egg yolk, and some plant-derived products such as chocolate and cocoa butter, coconut, palm and palm kernel oils,” the proposed guidelines read. The results of the PURE study, as one would have expected, did not seem to reflect in the guidelines. The growing evidence that redeemed fat against heart disease, or the real culprit—carbohydrates—did not find a place in the guidelines. “WHO is not a body that changes easily. It is not even a scientific body, it is a political body,” said Dr Salim Yusuf, professor of medicine, McMaster University, and senior author of the PURE study, in a scathing response to WHO's global guidelines. Yusuf, who is also the former president of the World Heart Federation, says that several countries such as Canada do not follow WHO guidelines, and instead have their own guidelines. The PURE study was not unique or isolated and was only building upon other studies that had shown that a low-fat diet was not a good idea, says Yusuf. Until the PURE study, most of the studies on fats had been done on people from Europe and North America, where fat intake was high due to consumption of meat and cheese, he says. In India, for instance, the diet is heavy on carbohydrates with more than 50 per cent accounted by it, and low on fat and protein. However, the confusion over the dietary advice—at times contradictory, too—raises several questions. First, why had fat been the villain for so long, if, clearly, there was not much of a case against it? Second, what does all the conflict over fat—to eat or not to eat—mean for Indians? The dietary fat story is complex, and as experts say, needs to be assessed carefully. Though the theory became popular in the 1970s, after American physiologist Ancel Keys came out with his seminal Seven Countries Study in which he said that the incidence of CHD was directly related to serum cholesterol values, and that these values were related to the average consumption of saturated fatty acids (SFA). This led to a change in the way fat was viewed globally, with the USFDA and the American Heart Association (AHA) prescribing a lower fat intake. The AHA still prescribes saturated fat to be kept to seven per cent of the total calorie intake. In India, fat was not much of a cause for debate. “Even though we follow WHO guidelines, the ones related to saturated fat does not mean much for us in India,” says Dr Indu Mani, visiting faculty at the division of nutrition at St John’s Research Institute, Bengaluru. In fact, fat has never been a problem for us, she says. “We have been eating less of it, especially in rural India. In urban areas too, on an average, fat would be about 20-25 per cent of the total calorie intake. This, as compared to the 35-40 per cent fat intake that people in the US, the UK and Australia would be eating, given their meat-heavy diet.” Mani is also a member of the committee working on India's dietary guidelines, due next year. In an article published in the Indian Journal of Medical Research last February, Mani and Dr V. Anura Kurpad, professor and head of physiology and nutrition at St John’s Medical College, Bengaluru, wrote that the role of fat in the diet was never a part of nutrition debates in India, until the 1980s and 1990s, when the initial dietary guidelines and Recommended Dietary Allowances (RDA) were published, for implementation on a national level. “At this point it was clear that the dietary patterns of Indians were vastly different from a typical western diet, with high carbs and low fat,” they wrote. But before fat is let off the hook for Indians, Mani and Kurpad say that a differentiation among fats needs to be accounted for. “We need to understand that there are different kinds of fats, and in India, we need a certain kind of fat more than others,” said Mani. Dietary fat is composed predominantly of triglycerides (98 per cent), and small amounts of phospholipids and sterols. Fatty acids in triglycerides are classified as saturated, mono-unsaturated and polyunsaturated, the latter being further divided into omega 6 and omega 3 fatty acids. Among all the fatty acids, only linoleic acid or polyunsaturated omega 6 fatty acid, and alpha-linolenic acid or polyunsaturated omega 3 fatty acids are considered essential fatty acids (EFAs) since these cannot be synthesised in the body. Between these two fatty acids, it is the omega 3 that has a protective benefit, and in India we have started eating less of that, says Kurpad. The call to replace saturated fats with polyunsaturated fatty acids (PUFA) actually ended up skewing the balance between the two omega fatty acids. “Within fats too, a balance is required,” said Kurpad. The WHO advice about keeping the energy contribution from saturated fats to a third of the total delivered by fats is a good thing, he says. “But more important is the balance between the n-3 and n-6 polyunsaturated fatty acids . We simply have too much of the latter in our diets, when benefits have been clearly ascribed to the former,” said Kurpad. As early as the 1990s, researchers had cautioned against the recommendations to replace SFA with PUFA without distinguishing between the n-6 and n-3 families, Kurpad and Mani wrote in their article. But, the message got lost in the general clamour to reduce fat. Seth says that the emphasis has to be on a balanced diet, and at the same time, not replacing fats with the wrong kind of carbohydrates such as refined atta, or even low fat, sugary foods. “When it comes to heart disease, Indians are like loaded guns. They just need a trigger,” said Seth. Indians are three times more likely to have heart disease than those living in the west, and six times more likely to have it than the Chinese, given the same risk factors. Studies done on fourth generation Indians in Singapore, West Indies, Fiji and the UK found that despite them living in these countries for several generations, they were still more prone to heart disease than the natives, says Seth. “Heart disease is a result of several factors such as race, lifestyle and diet,” he said. Both Seth and Kumar agree that the thrifty gene theory—genes that enable us to efficiently collect and process food to deposit fat during periods of food abundance in order to provide for food shortage—holds true for Indians and account for rising obesity. Every dietary advice then must be taken up with caution, Seth says. “Studies such as PURE only show that there is no association between saturated fat and heart disease, but these are not cause and effect analysis. Which is why WHO has not changed its guidelines, too,” said Seth, an ardent advocate of a balanced diet and home-cooked food for good heart health. He also stresses on regular exercise for 40-45 minutes, at a pace where one can speak only a single sentence. “Anything over that time limit may help lose weight but does not have benefits for the heart,” he said.